Apple on Thursday released iOS 12.1.4, an update for iPhone, iPad, and iPod touch devices that fixes the Group FaceTime bug that allowed a FaceTime caller to monitor audio and video from a call recipient, even if they did not accept the FaceTime call. The update also fixes a privacy bug found when a security audit of the FaceTime service uncovered an issue with Live Photos. 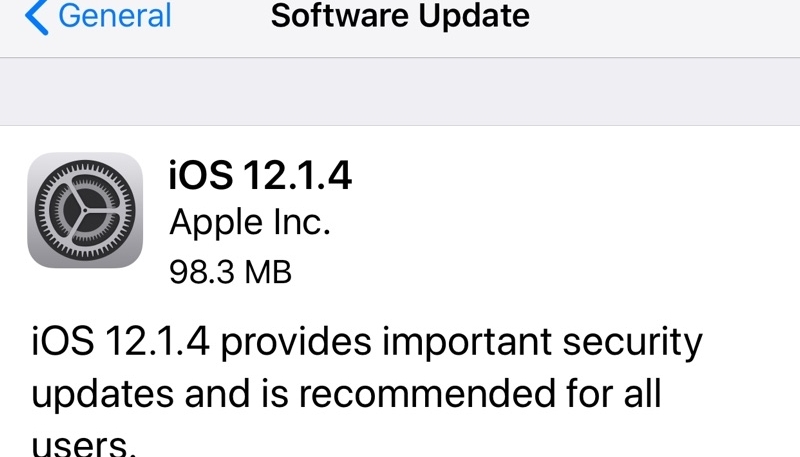 The new iOS 12.1.4 software can be downloaded to all compatible devices over-the-air by going to “Settings” -> “General” -> “Software Update” and following the prompts.